On 1st November 2017 Dr Dominique Santos, a visiting scholar at the Oxford Centre for Late Antiquity from the University of Blumenau, Brazil, gave a lecture on Ogham in the series ‘Introducing Ancient Scripts’. He kindly sent us a summary of his lecture. 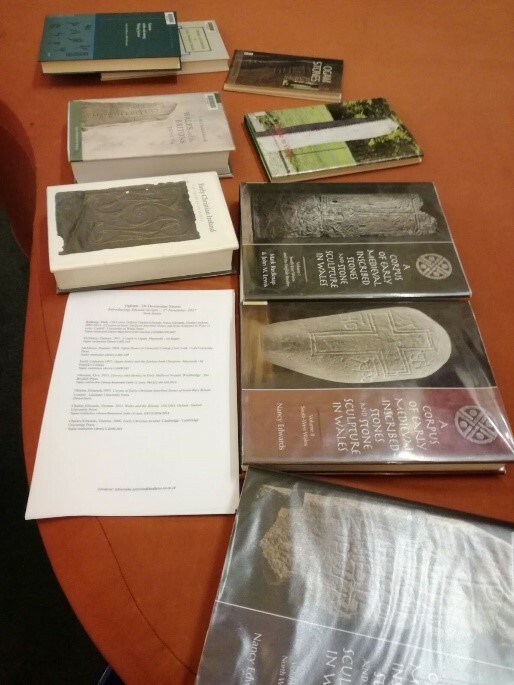 We are pleased to include this in our blog especially since he spent many months in the Taylor Institution Library for his research on Ogham, the script used for Old Irish, mainly inscribed on stones in Ireland, Wales and Scotland. Remarkably, the inscriptions were not made on the face but on the edge of the stones. FARDEL Stone, from Devon, England (THOMAS, 1994, Fig. 16.6). Some of the Ogham Stones are bilingual Ogham – Latin. In the studies on Latin language and bilingualism in Britannia Romana (Roman Britain), Ogham Stones are not often discussed. Aside from very specific studies, mainly conducted by Celtic scholars, little is said about the contexts of bilingualism (ADAMS, 2004) considering these monuments. There is a propensity in Roman epigraphic studies, including the most recent ones, to disregard bilingual Ogham Stones, even when focused on Late Antiquity. That is why I have spent a year studying mainly the Ogham Stones. In the Taylorian I had access not only to the most important publications in the field of Ogham but also to the history of Ireland, England, Scotland, Wales and the Isle of Man as well. The Library has a wonderful staff and the team is very knowledgeable about the collection and ready to help scholars research and explore this material. Celtic books in the Taylor Institution Library. During my working days at the Institutio Tayloriana, I have been asking myself the following questions: what could Ogham Stones tell us about exchanges and connections across the Irish Sea in Late Antiquity? Will the knowledge of this specific corpus be able to increase our understanding of the interaction among diverse cultures that inhabited, traded and communicated in (post-) Roman Britannia? Besides what has already been produced in other disciplines, how far could a historical approach to the subject contribute to its comprehension? Will these monuments have a broader role in historical books, being appreciated not only as merely illustrative ‘narrative appendices’ or an epigraphic object working as complement to other written sources? These are some of the issues I was concerned about. ‘Ogham Stones’ is the name the researchers of this field use to make reference to some erected stone monuments in Ireland, the Isle of Man, Wales, England and Scotland. This designation is based on the main alphabet, Ogham, created to carve short written messages on these monuments, which enabled the sound representation of the Irish language in its infancy. Because of this, Ogham Stones are considered national monuments in Ireland and controlled by the Department of Arts, Heritage and the Gaeltacht, an official government body. In fact, the majority of the stones are in Ireland, mainly in the South, in the counties of Kerry, Cork and Waterford, from where 247 inscriptions are registered. It would be a very hard task to keep them apart from their Irish background and the debate about the idea of Irishness. 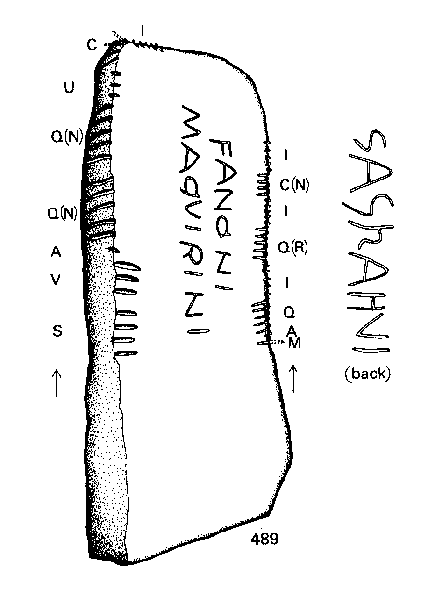 However, Ogham Stones are not restricted to Ireland; they are fundamental evidence for elucidating many aspects of the history of the places where they are found (MCMANUS, 1991; SANTOS, 2015) and, above all, the exchanges and connections across the Irish Sea in Late Antiquity, the object of this research. In order to carve the messages using the Ogham alphabet, incisions were made around the edges of a stone, interpreted like a ‘natural line’, from bottom to top and left to right. The meaning was determined by the number, position and direction of the notches in this ‘line’. The marks were grouped in four blocks (aicmí) of five, corresponding to 20 letters. When they stand to the right of this central stemline they are consonants: one incision makes a ‘b’, two a ‘l’, three a ‘v/f/w’, four a ‘s’, and five a ‘n’. Following the same pattern, but to the left side: ‘h/y’, ‘d’, ‘t’, ‘c’, and ‘q’. Five diagonal marks across the stemline make the sequence ‘m’, ‘g’, ‘gw’, ‘st’, and ‘r’. The vowels were made with dots or horizontal lines crossing the stemline of the rock, also following the same logic. Thus, ‘a’, ‘o’, ‘u’, ‘e’ and ‘i’ (THURNEYSEN, 2003). A graphical example can be seen on the figure below. 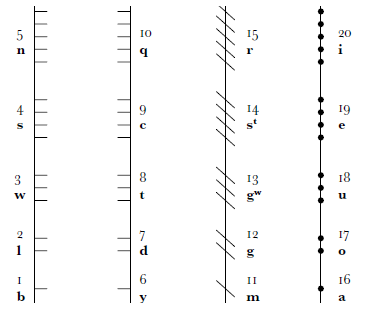 The Ogham alphabet (CHARLES-EDWARDS, 2000, p. 165). The inscriptions to be carved were conceived by the ‘Oghamist’, a certain scholar with a deep knowledge of Irish tradition, mainly of the Early Irish Language (MCMANUS, 2006). In order to achieve a better quality, this scholar designed a sample, perhaps modelled on wax or a wooden piece and then a craftsman would have the task of carving the inscription at its final destination, the stone itself. It is possible that the person hired to do the job had little or no knowledge at all of the content of the writing, which could lead to misunderstandings and mistakes (MACALISTER, 1945/1996). Ogham inscriptions have a similar pattern; they usually consist of personal names, ancestry or tribal affiliation. Fionnbarr Moore explains the inscriptions have a specific number of formulae: X MAQI Y, in English ‘X son of Y’; X AVI Y, in which AVI means ‘grandson’; X MAQI MUCOI Y, in this case, MAQI means ‘descendant’ and MUCOI perhaps stands for some ancestral deity; another common Irish word is ANM, meaning ‘name of’; some stones also have inscriptions with KOI, which means ‘here’, this being the equivalent to the Latin Hic Iacit (Iacet) ‘here lies’; another important word is CELI, like in the formula X CELI Y, which means, ‘X follower of Y’. These phrases can be mixed to generate formulae like: X MAQI Y MUCOI Z; X KOI MAQI MUCOI Y (MOORE, 2010). In several occasions there is no formula at all, but just isolated names (MCMANUS, 2006, p. 98-99). Despite the nomenclature and the epigraphic tradition, Ogham was not exclusively carved on stones, but also on other objects including bones, a wooden weaver’s sword, and a knife-handle (MCMANUS, 2006). From the 7th century on there are manuscripts written in Ogham. The most important of them is the Auraicept na nÉces, preserved at the fol. 169r- 180v of the Book of Ballymote, which explains how the alphabet works. First page of the Auraicept na n-Éces from The Book of Ballymote. Dublin, Royal Irish Academy, MS. 23 p 12, F. 170r. The tradition according to which the name of the letters of the Ogham alphabet comes from names of trees originated in this document; another fundamental text is the De dúilib feda na forfid, a manuscript that explains the functionality of the Ogham additional characters; In Lebor Ogaim, in its turn, is the most ancient treatise written in Old Irish about Ogham. A definitive or absolute chronology for Ogham inscriptions cannot be provided. Since dendrochronology, thermoluminescence, carbon-14 and other modern dating methods are not useful to give a precise year of a stone, we can only try to figure out a relative chronology and this is what specialists have done. By using a philological approach and comparing the findings with other written sources and historical facts, finally, it is believed that Ogham Stones were probably carved since the middle 4th or the beginnings of the 5th century. However, it is possible that the alphabet employed to write the first graphical signs of Old Irish language was in use by the 2nd century (HARVEY, 1990, p. 13-14), or even the 1st (CARNEY, 1975, p. 53-65), and continued to be produced until the 9th (MCMANUS, 1991). 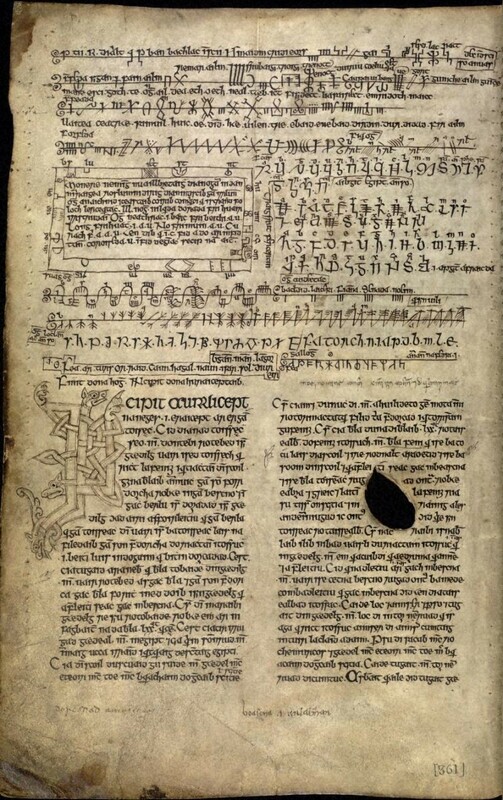 A late printed copy of the Book of Leinster manuscript containing the Epic Táin Bó Cúailnge, in which the Irish hero Cúchulainn exchanges messages in Ogham [The Book of Leinster, (Dublin: Royal Irish Academy, 1880) Taylor Institution Library shelfmark C.625.22[O]]. Over such a vast period, some changes in this Irish epigraphical tradition can be noticed. Perhaps, the most remarkable could be the way the marks were carved. From the 4th until the 6th century they were made over the edge of the stones, interpreted as a ‘natural line’; since the 7th century, the stemline started to be drawn on the surface of the stone. 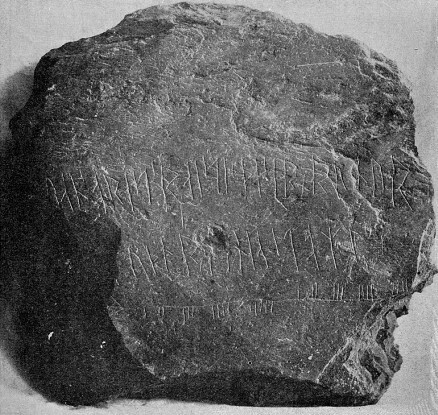 Ogham and Runic inscriptins on Maughold Stone (c. 800-899), from Kirk Maughold, Isle of Man (KERMODE, 1907, Plate LXIV). Generally, the first group of inscriptions is denominated as ‘orthodox’; the second is called ‘scholastic’. The first Ogham Stone to be registered was found in 1702, in a place called Emlagh East (IMLEACH DHÚN SÉANN), in Co. Kerry, in the Dingle peninsula, Ireland, by the Welsh antiquarian Edward Lhuyd. Nowadays, about 400 stones are known and recorded in Macalister’s Corpus Inscriptionum Insularum Celticarum (CIIC). However, little attention has been given to the 33 bilingual corpora of Britannia. They were erected in Britannia Romana (and post-Roman Britain) and carved with Ogham alphabet and Roman capital letters in order to register messages in two languages, Irish and Latin. Some examples, are: Ogham Stone CIIC 368, that reads ‘MAQI MUCOI DUMELEDONAS’, in Ogham, for Irish language, and ‘BARRIVENDI FILIVS VENDVBARI HIC IACIT’, in Roman capitals, for Latin; CIIC 500, from which follows the inscription ‘[E]B[I]CATOS M[A]QI ROC[A]T[O]S’, in Ogham, and ‘ANMECATI FILIVS ROCATI HIC IACIT’, in Roman capitals; there are stones that contain only names in Ogham, but more information is given in Latin from the Roman capitals. These are the cases of CIIC 353, in which can be read ‘TRENACCATLO’, in Ogham, and ‘TRENACATVS IC IACIT FILIVS MAGLAGNI’, in Roman capitals; CIIC 358, that reads ‘VOTECORIGAS’, in Ogham, and ‘MEMORIA VOTEPORIGIS PROTICTORIS’, in Roman capitals; CIIC 380, from which one can read ‘ICORIGAS’, in Ogham, and ‘ICORI FILIVS POTENTINI’, in Roman capitals; and CIIC 422, that reads ‘VENDOGNI’, in Ogham, and [U]ENDOGNI [F]ILI [H]OCIDEGNI, in Roman capitals. MACALISTER, R.A.S. 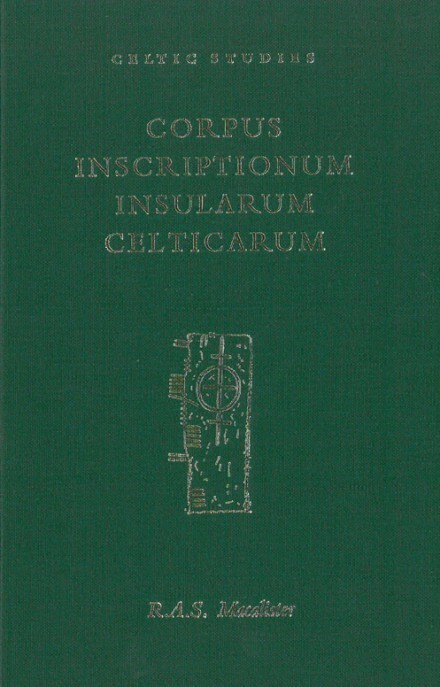 Corpus Inscriptionum Insularum Celticarum. FREEMAN, Philip. 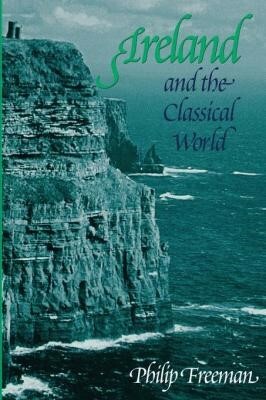 Ireland and the Classical World. Houston: University of Texas Press. 2001. If Britannia Romana made an impact on Hibernia (the Latin name for Ireland), the opposite also happened. John Roche states that forts and cities in the region of what is Wales today, such as Cardiff and Caerwent, were designed to withstand Irish attacks, which saw the region as a potential slave market like the one in which (Saint) Patrick was captured. Many Roman coins were found in Ireland and are evidence for both trade and Irish incursions. This movement helps us to understand the later Irish colonies in Britain, evidence of much more permanent diplomatic relationships (ROCHE, 1993, p. 7-9). Anthony Harvey explains this is not surprising at all as the sea at the time was more a way than an impediment. Thus, the Irish Sea must have formed what he calls ‘an effective block to cultural communication for hundreds of years’ (HARVEY, 1990, p. 14). According to Charles Thomas, Irish presence in Britain may go back to the 3rd century and have lasted until the Viking incursions and is attested by the existence of personal names, nouns and conjunctions in Ogham inscriptions from the region (THOMAS, 1973, p. 5-13). Thomas Charles-Edwards has pointed out that these inscriptions in Ogham indicate a desire to elevate Old Irish language to the same level and status as Latin (CHARLES-EDWARDS, 2000, p. 176-177). 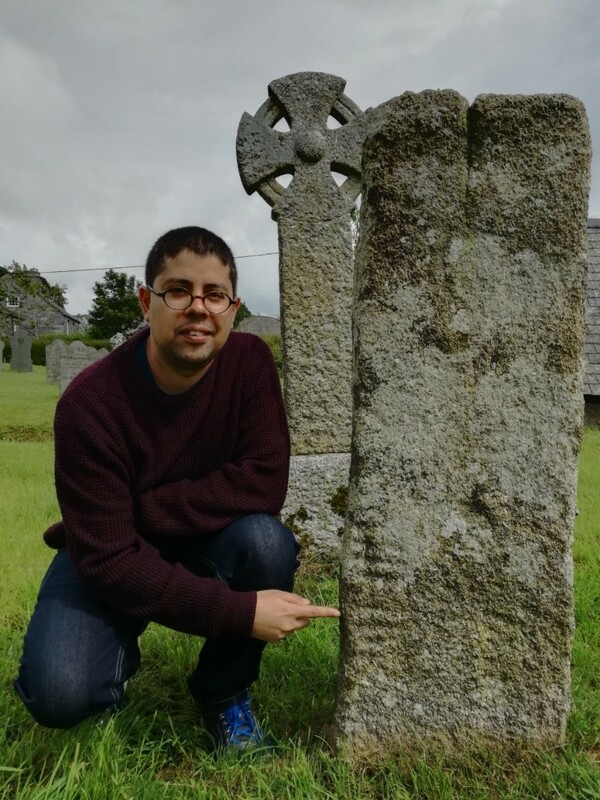 To investigate Ogham Stones as evidence of historical connections across the Irish Sea was the challenge of my research, developed as part of my Sabbatical Leave at Oxford Centre for Late Antiquity. 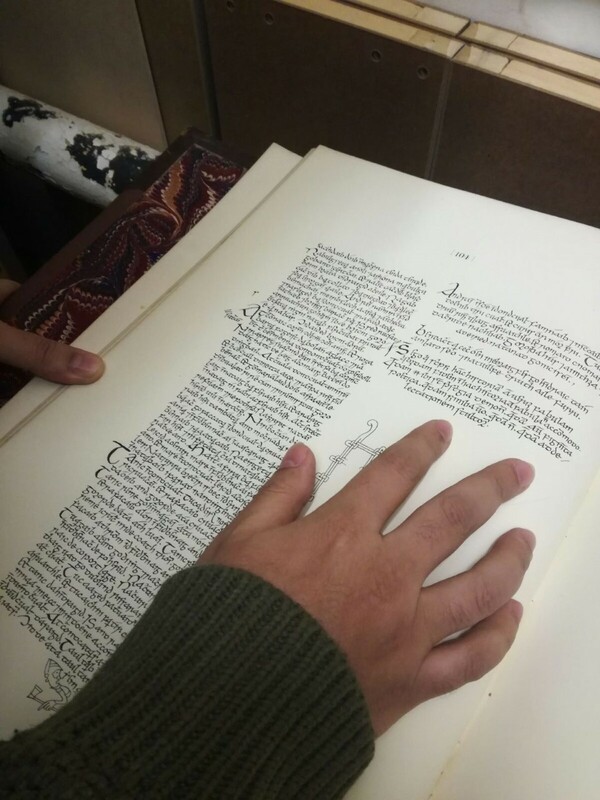 It would hardly have been possible without having access to the Taylorian Celtic Collection. Dr. Dominique Santos – Lecturer in Ancient and Medieval History at FURB – University of Blumenau – Santa Catarina – Brazil, was a Visiting Scholar at Oxford Centre for Late Antiquity in 2017. ADAMS, J.N. Bilingualism and the Latin Language. Cambridge: Cambridge University Press, 2004. ATKINSON, Robert. The Book of Leinster: sometime called the Book of Glendalough: a collection of pieces, prose and verse, in the Irish language, compiled in part, about the middle of the twelfth century: now for the first time published from the original manuscript in the Library of Trinity College, Dublin. Dublin: Royal Irish Academy, 1880. BRUUN, Christer; EDMONDSON, Jonathan. The Oxford Handbook of Roman Epigraphy. Oxford: Oxford University Press, 2015. CARNEY, James. The Invention of the Ogom Cipher. Ériu, Vol. 26, 1975, p. 53-65. CHARLES-EDWARDS, T. M. Early Christian Ireland. Cambridge: Cambridge University Press, 2000. 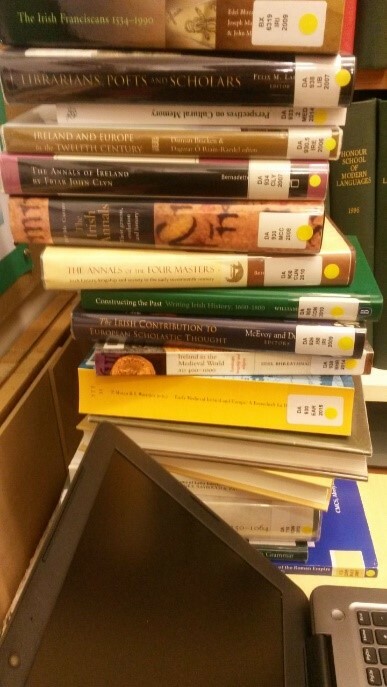 COOLEY, Alisson E. The Cambridge Manual of Latin Epigraphy. Cambridge: Cambridge University Press, 2012. DI MARTINO, Vittorio. Roman Ireland, London: The Collins Press. 2003. FORSYTH, Katherine Stuart. The Ogham Inscriptions of Scotland: An Edited Corpus. PhD Thesis, Harvard University, 1996. p. L.
GUARINELLO, N. L. . Uma Morfologia da História: as formas da História Antiga. Politéia (Vitória da Conquista), Vitória da Conquista, v. 3, n.1, p. 41-62, 2003. HARVEY, Anthony. The Ogham Inscriptions and the Roman Alphabet: Two Traditions or One? Archaeology Ireland, Vol. 4, Nº1, 1990. p. 13-14. HINGLEY, Richard. Hadrian’s Wall: A Life. Oxford: Oxford University Press. 2012. KERMODE, P.M.C. Manx Crosses. London: Bemrose & Sons Ltd, 1907. MACALISTER, R.A.S. Corpus Inscriptionum Insularum Celticarum, Vol I. Dublin, Stationery Office, 1945. MACALISTER, R.A.S. Corpus Inscriptionum Insularum Celticarum, Vol I. Dublin: Four Courts Press, 1996. MCMANUS, Damian. A Guide to Ogam. Maynooth, 1991. MCMANUS, Damian. Written on Stone. Irish Arts Review. Vol. 23, Nº3, 2006, pp. 98-99. MOORE, Fionnbarr. The Ogham Stones of County Kerry. In: MURRAY, Griffin. Medieval Treasures of County Kerry. Tralee : Kerry County Museum 2010. Ó CRÓINÍN, Dáibhi. Early Medieval Ireland 400-1200. Londres: Longman, 1995. REDNAP, Mark. 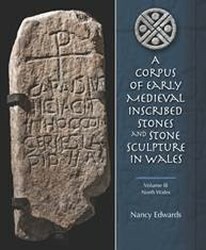 A corpus of early medieval inscribed stones and stone sculpture in Wales. 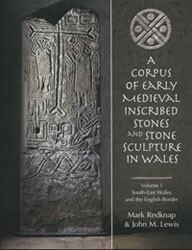 Cardiff : University of Wales Press, 2007-2013. ROCHE, John. The Influence of Ireland on Roman Britain…:…Cursus Unicus? Archaeology Ireland. Vol. 7, nº 1, 1993, p. 7-9. SANTOS, Dominique. Patrício: A Construção da Imagem de um Santo/How the Historical Patrick Was Transformed into the St. Patrick of Religious Faith. 1. ed. New York; Lampeter: The Edwin Mellen Press, 2013. SANTOS, Dominique. A Cultura Hiberno-Latina na Bretanha romana e pós-romana: evidências a partir das Ogham Stones. In: Anais eletrônicos do XXVIII Simpósio Nacional de História da ANPUH, Florianópolis, 2015. STEVENSON, Jane. The Beginnings of Literacy in Ireland. Proceedings of the Royal Irish Academy. Section C: Archaeology, Celtic Studies, History, Linguistics, Literature. Vol. 89C, 1989. p. 127-165. SWIFT, Catherine. Ogam Stones and the Earliest Irish Christians. Maynooth Monographs Series Minor II. Maynooth: St. Patrick’s College. 1997. p. 90. THOMAS, Charles. Irish Colonists in South-West Britain. World Archaeology. Vol. 5, nº 1, Colonization, 1973, p. 5-13. THOMAS, Charles. And Shall These Mute Stones Speak? Post-Roman Inscriptions in Western Britain. 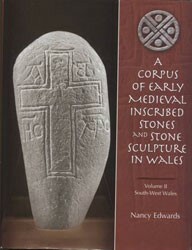 Cardiff: University of Wales Press, 1994. THURNEYSEN, E. R. A Grammar of Old Irish. Dublin: Dublin Institute for Advanced Studies, 2003. This entry was posted in Collections and tagged ancient scripts, Celtic, Ogham, Ogham stones, Old Irish on 19 February 2018 by ferrarij. In the early 1960s, Marguerite Yourcenar wrote an essay on ‘Le cerveau noir de Piranèse (The dark brain of Piranesi)’. Earlier, in 1941, she and her American life-partner Grace Frick had bought four engravings in New York which remained with them for the rest of their lives, and one of them played a part in inspiring what remains her most famous work, Mémoires d’Hadrien (Memoirs of Hadrian 1951). The novel is a poetic evocation of the life of the Roman emperor, including his relationship with the handsome Antinous, who died on an imperial progress in middle Egypt in AD 130. The novel has always had particular resonance for LGBT readers as a profoundly ‘queer’ imagining of the ancient past, but it has also been inspirational for some Egyptologists, notably the great Philippe Derchain (1926–2012), who even composed a fictional account, in an intertextual dialogue with Yourcenar’s novel, of the Barberini obelisk that Hadrian had erected in Antinous’ honour. The above print, by Giovanni Battista Piranesi (1720-1778), from around 1769, shows the exterior of the so-called ‘Tempio del Dio Canopo’ at Hadrian’s villa at Tivoli from the series entitled Vedute di Roma, which forms volume 5 in Taylorian founder Sir Robert Taylor’s own set of Piranesi volumes, now housed in the Taylor Institution Library (see http://blogs.bodleian.ox.ac.uk/taylorian/2014/12/19/unpacking-sir-robert-taylors-library/). The villa was central to Yourcenar’s inspiration, and this is the one image she described in detail in her reflective notes on composing the novel. From ancient descriptions of the villa as containing a ‘Canopus’, the building at its centre was thought to represent the town of Canopus in Egypt, and it was traditionally regarded as the find spot for many Egyptianising works of art from the villa. In the novel, ‘cette chapelle de Canope où son culte se célèbre à l’égyptienne (that chapel of Canopus where his cult is celebrated in Egyptian fashion)’ is evoked as Hadrian attempts to summon up the ghost of his lost beloved. Piranesi’s print is a carefully captioned view of the structure, reflecting his concerns to document the ‘speaking ruins’ of ancient Rome, but it also possesses a romantic quality that appealed to Yourcenar. 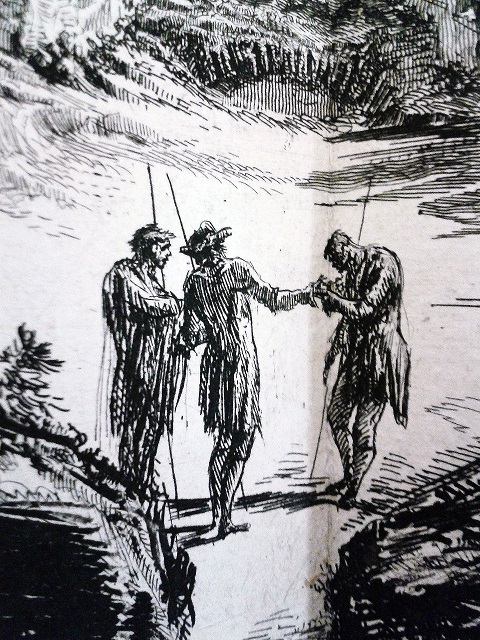 She described the etching as showing ‘structure ronde, éclatée come un crâne, d’où de vagues broussailles pendent comme des mèches de cheveux. Le génie presque médiumnique de Piranèse a flairé là l’hallucination, les longues routines du souvenir, l’architecture tragique d’un monde intérieur (a round structure, burst open like a skull, from which fallen trees and brush hang vaguely down, like strands of hair. The genius of Piranesi, almost mediumistic, has truly caught the element of hallucination here: he has sensed the long-continued rituals of mourning, the tragic architecture of an inner world)’. The domed building is skull-like, with two fallen masses of the vault placed symmetrically in the foreground like jaws; they still lie in the area today. As Nigel Saint has noted, the view down the central axis of the etching allows the viewer to look from the outside into as it were the inner parts of the emperor’s private world, as Yourcenar attempted. The strikingly symmetrical composition creates a sense of mystery: what are the three tiny figures doing in the centre of the monumental arena – are they reading palms? As Yourcenar’s emperor says of his villa, ‘chaque édifice était le plan d’un songe (each structure was the chart of a dream)’. The tree on the left seems playfully to echo the gesturing figure on the right, as if monument, nature and humans are all parts of a single grandiose ruin: such contemporaneous figures appealed to Yourcenar’s desire to explore ways to mediate between the living present and the past, through ‘[les] milliers de vies silencieuses, furtives comme celles des bêtes … qui se sont succédé ici entre Hadrien et nous (the thousands of lives, silent and furtive as those of wild beasts … who have followed in our succession here between Hadrian’s time and ours)’. For her, the depiction of a ruin becomes ‘une méditation à la fois visuelle et métaphysique sur la vie et la mort des formes (a meditation both visual and metaphysical on the life and death of forms)’. To modern archaeological eyes, the print also shows that any historical certainty is remarkably uncertain, as excavations and reconstructions of the building continually change the picture in every sense: the traditional idea that this building was connected with Egyptianising art-works and cult has been disputed, and its identification as Hadrian’s ‘Canopus’ is far from certain, with architectural historians arguing that it was probably only a scenic triclinium for the summer months. The architecture is no longer considered in any way ‘tragic’. New layers of interpretation gather around the image, but I retain a fondness for it, partly as a symbol of Yourcenar’s vision of a queer ‘monde intérieur’. And partly because a print of it hung (and still hangs) over the fireplace of the sitting room in Petite Plaisance, the house that she shared with Grace Frick in Northeast Harbor, Maine. The print thus not only evokes the ancient past of Hadrian and Antinous, but also the modern personal, domestic world of Yourcenar and Frick. For me, as a gay Egyptologist, it has become an image of what historians do in trying to recapture a sense of ancient lived experiences—not only with precision, but also with imagination and empathy. 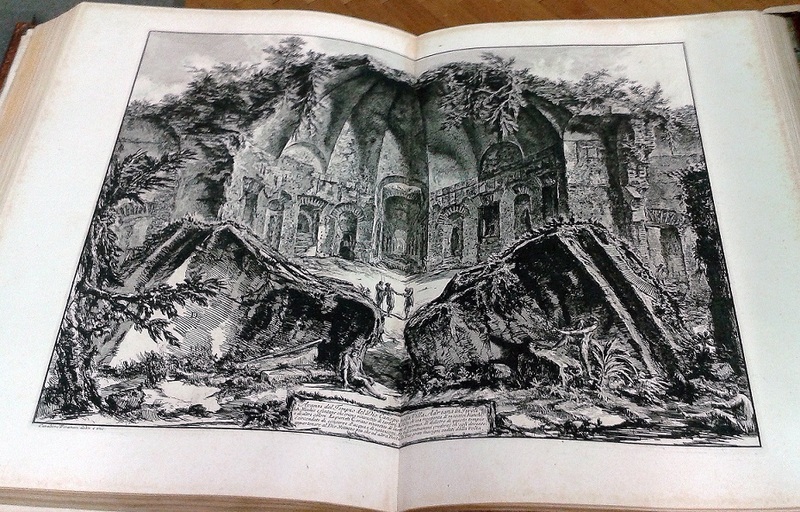 The opportunity to view this and Piranesi’s other etchings took place during a special seminar, ‘G. B. Piranesi: Sir Robert Taylor’s Collection of Etchings & the Ashmolean Candelabra’, held at the Taylor Institution and the Ashmolean Museum in late 2017. The occasion arose from Oxford’s 2017 Slade Lectures, ‘The Material Presence of Absent Antiquities’ (http://www.history.ox.ac.uk/event/slade-lectures-2017), during which Caroline van Eck (Uni-versity of Cambridge) focused on the works of Piranesi, thus prompting further investigation of the Taylorian’s collection. In remarkable condition and logistically difficult to display, the Library’s full set had rarely (if ever) been shown in its entirety. 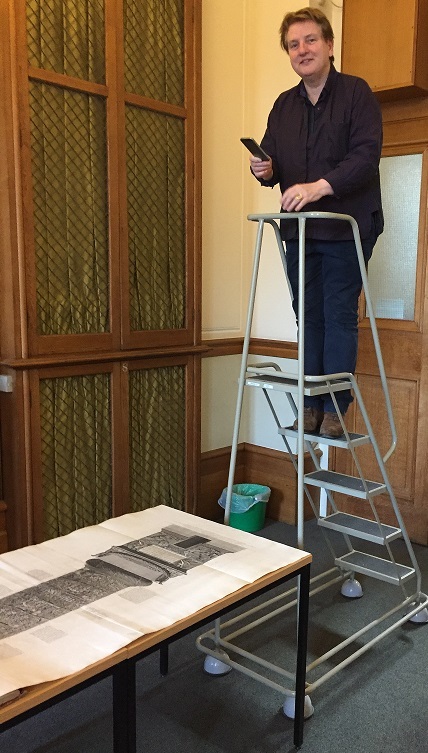 The Piranesi seminar, led by Professor van Eck, thus enabled an international group of academics and curators from a variety of disciplines to examine and discuss Sir Robert Taylor’s set; and also to hear, from Christoph Frank (U. della Svizzera italiana, Mendrisio), about the discovery of a previously unknown album of Piranesi drawings at Karlsruhe, throwing light on the conservation history of one of the Ashmolean candelabra. To many, the most compelling component of the seminar was volume 17. This, an ‘elephant folio’ (79 x 61 cm. 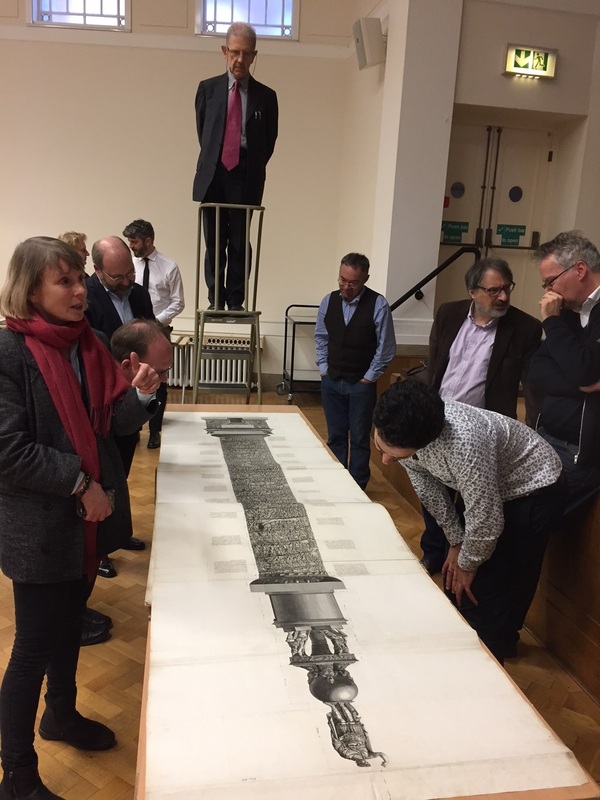 ), unfolded at one end to a 3.5 metre-long etching of the Colonna Traiana (Trajan’s Column, fig. 9); and, at the other, to an equally long Colonna Antonina (also known as the Colonna di Marco Aurelio or Colonna Aureliana). Marguerite Yourcenar, Memoires d’Hadrien (Paris: Plon, 1951). English translation by Grace Frick: Memoirs of Hadrian (London : Readers Union, 1955). Marguerite Yourcenar, ‘‘Le cerveau noir de Piranèse’ in Sous bénéfice d’inventaire (Paris: Gallimard, 1962). English translation by Richard Howard in The Dark Brain of Piranesi and Other Essays (Henley-on-Thames: Ellis, 1985), 88–128. Véronique Beirnaert-Mary and Achmy Halley (ed. ), Marguerite Yourcenar et l’empereur Hadrien: Une réécriture de l’antiquité (Gand: Snoeck, 2015). Thorsten Opper, Hadrian: Empire and Conflict (London: British Museum, 2008). R. B. Parkinson, A Little Gay History: Desire and Diversity Across the World (London: British Museum, 2013), 118-121. 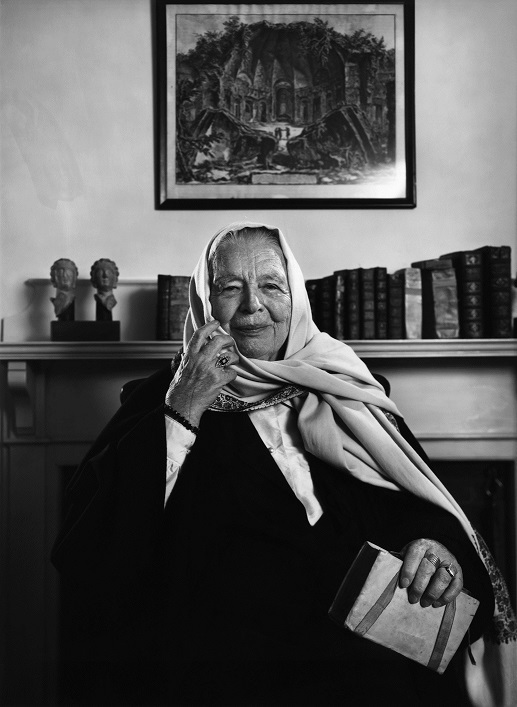 Nigel Saint, Marguerite Yourcenar: Reading the Visual (Oxford: Legenda, 2000). Ghent University Library/Universiteits Bibliotheek Gent. Prints by Giovanni Battista Piranesi (1720-1778): http://www.theeuropeanlibrary.org/tel4/collection/a1004 (viewed 03/02/2018). Georg Kabierske, “A Cache of Newly Identified Drawings by Piranesi and His Studio at the Staatliche Kunsthalle Karlsruhe”, Master Drawings LIII/2 (2015), 147-179. Georg Kabierske, “Vasi, urne, cinerarie, altari e candelabri: Newly Identified Drawings for Piranesi’s Antiquities and Sculptural Comporsisions at the Staatliche Kunsthalle Karlsruhe” in Francesco Nevola (ed. ), Giovanni Battista Piranesi: Predecessori, contemporanei e successori: Studi in onore di John Wilton-Ely (Rome: Quasar, 2016), 245-262. Giovanni Battista Piranesi, [Opera Piranesi]. Rome, [1748-1779]: v.1-4. Le antichità romane. — v.5-6. Vedute di Roma. — v.7. Ioannis Baptistae Piranesii antiquariorum. — Osservazioni. — v.8. Antichità d’Albano e di Castel Gandolfo. –Antichità di Cora. -v.9. Alcune vedute di archi trionfali. — Opere varie di architettura prospettive grotteschi antichità. — Le rouine del castello dell’Acqua Giulia. — Trofei di Ottaviano Avgvsto. — v.10. Ioannis Baptistae Piranesii antiquariorum regiae. — v.11, 12. Vasi, candelabri, cippi, sarcofagi. — v.13. Descrizione e disegno dell’emissario del Lago Albano. — I. B. Piranesii Lapides capitolini. — v.14. Raccolta de tempj antichi. — Diversi maniere d’adornare i cammini. — v.15. Différentes vues de quelques restes de trois grands édifices. — v.16. Raccolta di alcuni disegni del Barberi da Cento. — Carceri d’invenzione. 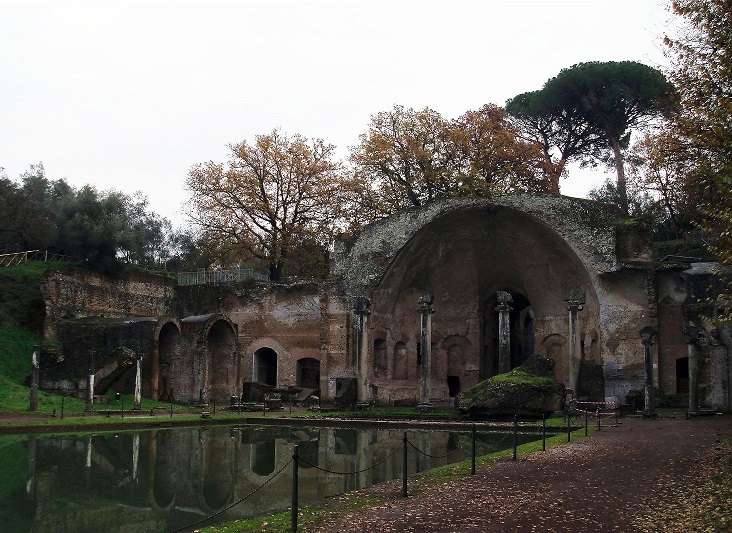 — Il teatro d’Ercolano alla maestra di Gustavo III. — v.17. Trofeo o sia magnifica colonna. — Colonna Antonina come si vede oggidi. — Colonna eretta in memoria dell’apoteosi di Antonino Pio. 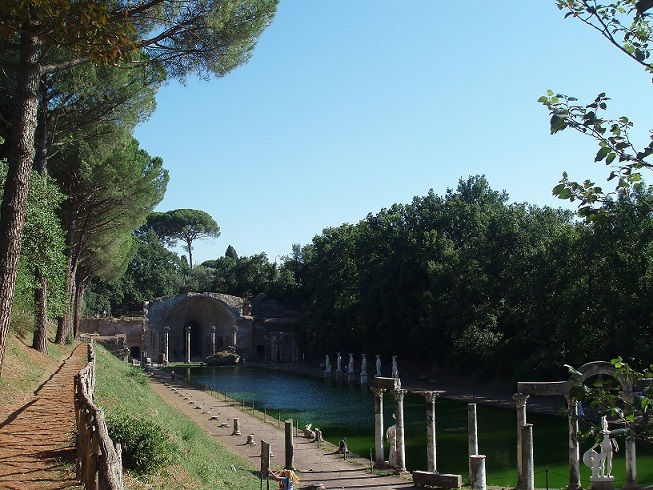 This entry was posted in Special Collections and tagged G. B. Piranesi, Hadrian's Villa, LGBT Hstory Month, Marguerite Yourcenar, Richard Parkinson, Sir Robert Taylor, Trajan's Column, Villa Adriana on 5 February 2018 by Clare Hills-Nova.